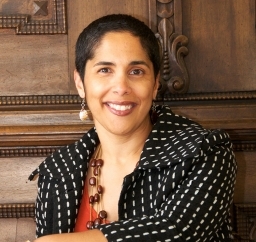 MIDDLEBURY, Vt. -- Shirley M. Collado, dean of the college at Middlebury and a national leader within higher education on issues of student and faculty access and diversity, has been named executive vice chancellor for strategic initiatives and executive vice provost at Rutgers University – Newark. The university announced the news today. Collado will begin her new position in January 2015 and will continue in her current role at Middlebury College until then. Rutgers University – Newark is one of three main campuses of the New Jersey state Rutgers University system. The campus has eight degree-granting undergraduate, graduate and professional schools and enrolls more than 7,600 undergraduate students and 4,300 graduate students. From the time she first arrived at Middlebury in 2007, Collado has played a driving role in the College’s efforts to create initiatives that build closer links between academic programs, residential life and innovative student experiences outside the classroom. She has been a champion for Programs on Creativity and Innovation, the Center for Social Entrepreneurship, MiddCORE, and the Center for Careers and Internships. She led the vision for the new student orientation program MiddView, worked to strengthen the Commons system, and helped develop the Center for the Comparative Study of Race and Ethnicity. Since she was appointed dean of the college in 2010, Collado has been a visible and supportive presence for Middlebury students during their undergraduate years. Always approachable and always mindful of the needs, concerns and unique perspective of undergraduates, she is at once a passionate advocate and a firm counselor. Recently, Collado, who has a Ph.D. in Clinical Psychology from Duke University, played a leading role in securing a three-year grant of $4.7 million from the Andrew W. Mellon Foundation to establish the Creating Connections Consortium (C3), a program that is building interaction among leading liberal arts colleges and research universities with a goal of strengthening student and faculty diversity and creating opportunities for innovation.